13-27 August in ZVH “Manege” (Moscow) there was a school exhibition - fair "From A to Y", where samples of Agro-Alliance products were presented. Throughout all its history, our company regards quality as the determining factor in business. Cereals of “Agro-Alliance” were many times awarded with medals and diplomas in professional competitions for its high quality, they also became leaders of independent expertise. Since 2008, our products have been involved in a program for promotion healthy lifestyles. It is most relevant when the child's body is being formed. 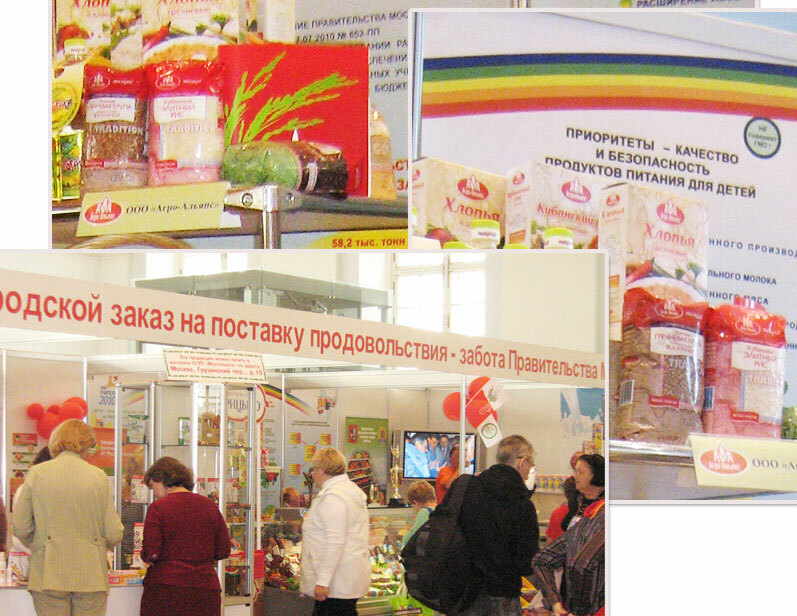 According to the organizers of collective exposition - the Department of Food Resources in Moscow: "The exhibition was of great importance for specialists of child nutrition (school-base complexes and dining rooms) where they were able to see new items and a wide range of goods, as well as for parents who learned more about child food and tried high-quality products.